You must make reservations at least 5 minutes in advance of the time at Starbelly. Castro Metro Stop, 33 & 37 bus line. Starbelly is a modern, urban restaurant that serves California Comfort food in the heart of The Castro. 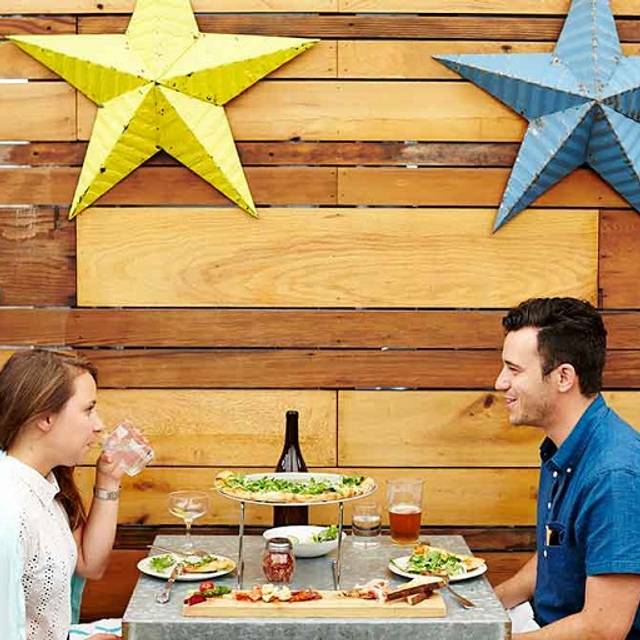 Our garden patio and fun atmosphere make Starbelly a neighborhood favorite, serving lunch, brunch and dinner. Our craft cocktails, beer and wine lists all play well with our seasonal menu. Great place and value. Good menu!!! I ordered a pizza with no cheese. It came with cheese. I sent it back and waited almost 20 minutes. Get it together! Really disappointing experience. The food was supremely mediocre and the service was awful. We felt rushed the entire time, although we had a 5:45pm reservation and the restaurant was not full. All things considered, it feels “overvalued,” given the experience we had. Just another overpriced San Francisco establishment with not too much to offer. Un très belle endroit pour déjeuner. Bons cocktails. J’ai pris une salade composées de produits frais et de qualités. Je recommande. Amazing food, great service, and an unbeatable heated patio. Starbelly has been my favorite SF restaurant for a while now, and never ceases to please! Highly recommended. It was impossibly loud. Everything else was fine, but the atmosphere inside was not good for anything other than desperately trying to make out what someone 1 foot away was trying to tell you. Came here for brunch. Good strong coffee. French Toast was rich and very filling. Great to be in the back patio - not as noisy as inside. Showed up a couple minutes early for our reservation and waited 15 mins after for a table. Several people were seated before me and felt like having a reservation didn’t matter. Was given a free appetizer for the trouble. Food Fabulous, service quick, felt rushed to finish our meal. Great, patient service, gorgeous space, and tasty food! Chris, our server was amazing! Made our visit much more enjoyable! Thank you! Friendly, warm and welcoming. The service is excellent and the food is creative and very good. I would go back again and I would recommend Starbelly to a friend for a business or personal occasion. It's a great find and a place I look forward to going to again. 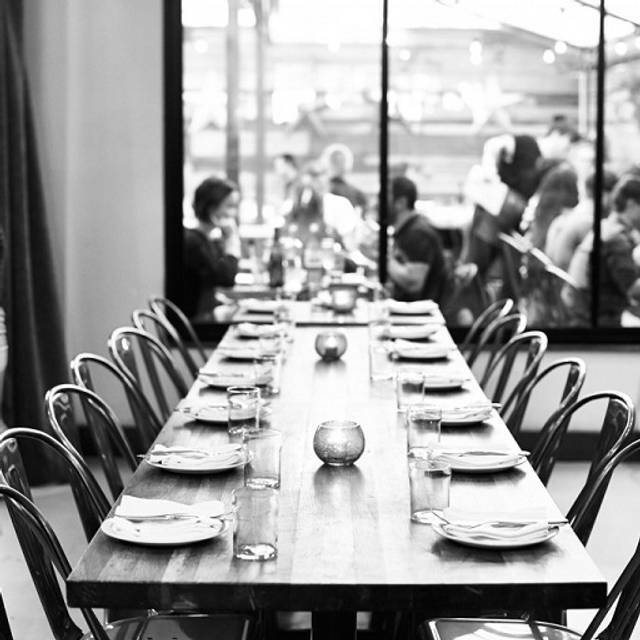 Starbelly is our go-to brunch place for friends and out of town guests. It's a good snapshot of San Francisco Culture in the Castro. The food is good, the service outstanding and the ambiance lively and fun. 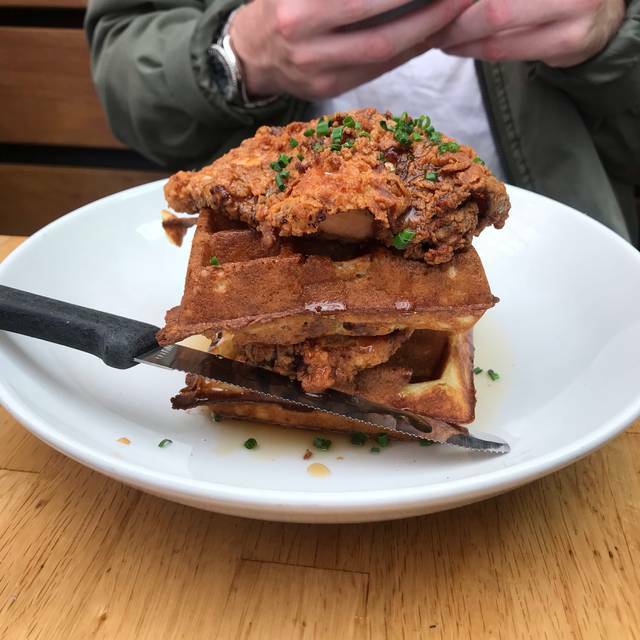 If you want to have a fun time for brunch in San Francisco, go to Starbelly. 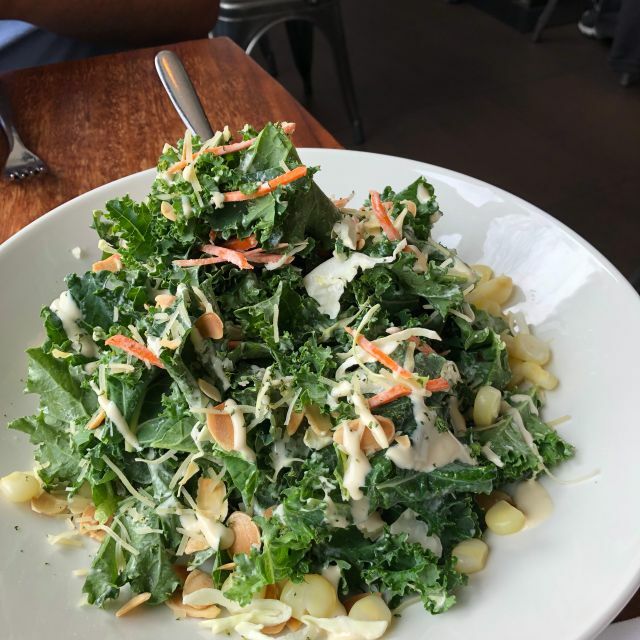 Nice menu, the food is reliably good, full bar service (for those who care), and attentive staff make this a solid choice for a casual business meal or meal with friends. Noise level can be higher in the evening. I just love Starbelly. The food is delicious, space cozy and service stellar. I’ve been here many times but my bf had never been so we popped in on a Monday and had a great dinner. Brunch is always fabulous too! Delicious food. Butternut squash dumplings, burger and mackerel were highlights! Food was good—no dish was bad. 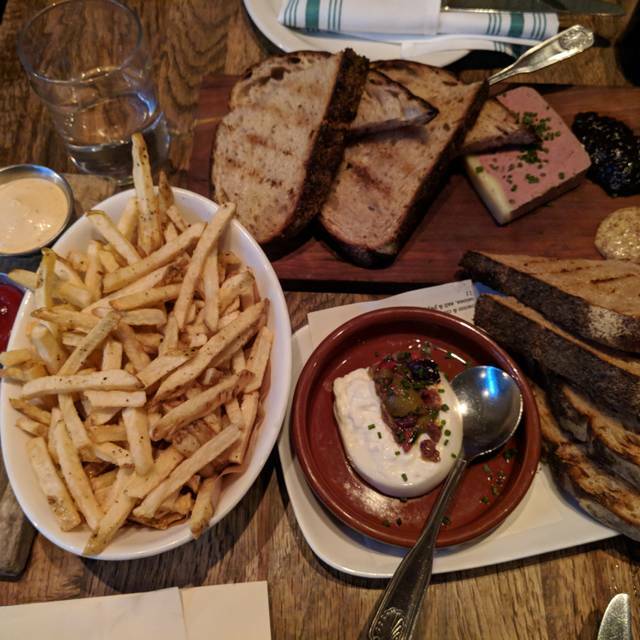 We ordered per the server’s recommendations: loved the pate and starbelly salad. The mushroom pizza was highly recommended over the steak, and it was pretty good but it did not stand out as anticipated. The pasta was also good but not memorable. The server was helpful when present but he did disappear for a long time and we waited at least an hour for our mains. The appetizers came out instantly. So that awkward wait was a disappointment. We might try again but our first experience left something to be desired. Underwhelming experience. Food was okay, service was slow. Really nice atmosphere and accommodating for large parties though. All the service staff were wonderful. The pizza was an amazing blend of styles and flavors. 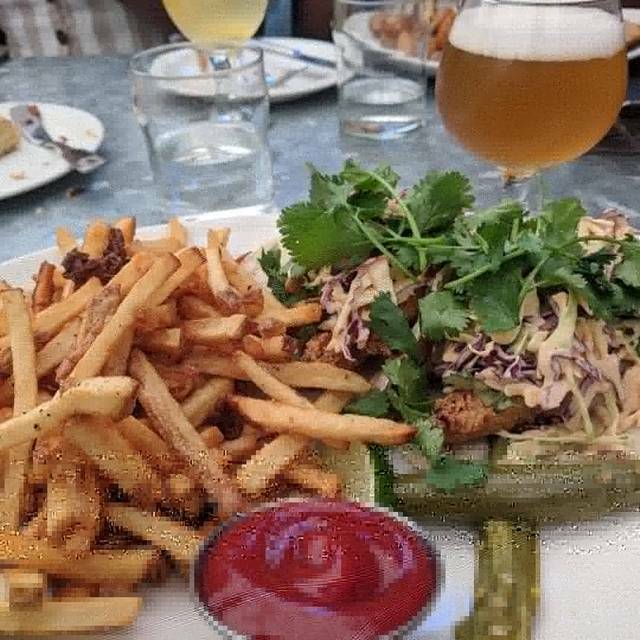 The beers offered a gentle yet profound compliment to th meal. Despite having left my hoody, Megan, was able to retrieve and keep it for my later retrieval. I had dinner here on a Friday night and it was packed. The noise level was very high. Next time I will sit in the patio. We hadn't planned on eating pizza, and ordered one. I have to say, this was the most tasty pizza I have had in quite sometime. The flavor and texture of the crust is amazing. I will be back for more! We had an amazing lunch on the warm patio. The restaurant was busy for lunch but there was attentive service so we felt very taken care of. The server was a very cute guy wearing Converse shoes. Great food, fresh seasonal menu and good wine list. A wonderfully reliable brunch/dinner destination in the Castro which typically cannot hang onto a good restaurant. Service is poor poor poor. I’m never certain who my waiter is and once food is dropped off, good luck flagging them down for condiments, a second drink order, etc. You’re on your own until the “too little too late” drive-by offering up a dessert menu. Probably our 4th visit; a good standby. Restaurant was very accomodating as we were 1/2 hour late (we called) due to 45 minute delay getting out of parking lot by DeYoung (note to self: don't park in garage if you need to leave at museum closing time), so we couldn't complain when they (very nicely) told us just before bringing desserts that they also were leaving our check because the front area buy-out was waiting for our table. Loved it all - drinks, fries, burgers, vege burger and butterscotch pot de creme dessert. I love visiting Starbelly. The food is always amazing and the price is great. I've always had helpful, happy service. My only complaint is there needs to be a way to dampen the noise as it does get loud. Overall I will still keep combing back. Poor food quality and not the best service. There is a nice patio with heat lamps that make it enjoyable to eat outside. Surprisingly cheap in a city where food tends to be expensive. Great food, great service, great atmosphere. I haven’t been for years (i didn’t remember them having a liquor liscense? maybe?) and now i’ll definitely be back more often. Nice ambience. Food is pretty good. Service could be a touch better, as in they could use some more staff. The folks they have are very nice. Love love love this place great place to catch up with family and friends. Perfect plate to share and enjoy! Used to LOVE this place. And it was as packed as ever. But the experience was just meh this time. Likely won't return for awhile. The quality of food has gone down significantly since the last time I visited. Food was cold unfortunately. Decent food although I was underwhelmed by the fires and the pizza. Adorable place, delicious food, lovely service!! I wish I lived in Cali so I could go back! Always love it, great food service and location , awesome they have now and open bar.